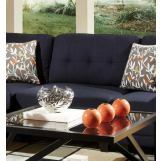 Keaton sectional is wrapped in a soft midnight blue/black linen-like fabric with a tufted back and wood legs, this set is ready to accommodate any size room. 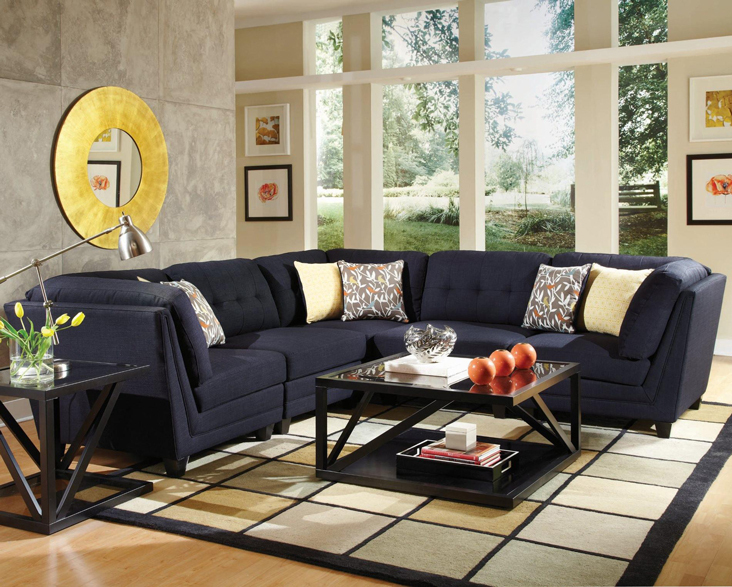 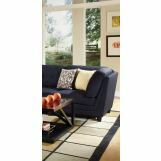 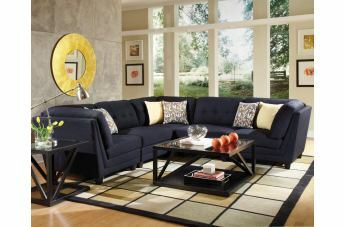 Arrange corner pieces and armless chairs together to create a sectional that meets your needs and wants. 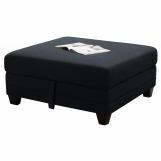 Also, a matching ottoman is available for a more comfortable lounging experience.